Home » Technology » What is 3D optical measurement and when is it used? What is 3D optical measurement and when is it used? With so much competition in the business world today, accuracy is more important than ever. This is why so many businesses spend so much looking at modern tools for better control over their products. For example, today 3D optical measurement has become a go-to tool for those looking to improve their business products. Often carried out using 3D structured light (3DSL) technology, the results are outstanding. 3D optical measurement is used for many purposes and practices. It tends to make sure that you can see the inner workings of your latest product in greater detail than ever. High accuracy is needed for 3D optical measurement, and often allows for precise data capture. That data can then be used to better analyse your products for better benchmarking, improvement and quality inspection. If you think that your product might have an issue with it, 3D optical measurement is one of the best ways to change this. Whether you wish to reverse engineer a product or you want to improve the design, 3D optical measurement helps. These measurement tools are then used to help you to form a digital representation of your very product. Then, it can be analysed from every angle and in ways that you could never do with the physical form. This is done using non-contact GOM optical metrology hardware. This then accurately captures the free-from surface of the product. Your engineers can learn valuable insights from this, not least how to best refine the product process. If you are struggling to make mass production possible, 3D optical measurement can provide some answers. You have no reason to put up with an inefficient or poor product. With cost-effective optical measurement, you can bring an end to that issue. How does 3D optical measurement benefit me? When used in the correct manner, this kind of tool allows for easier development of your product. Why? Because you can see the design in a way that you simply cannot in its physical shape. You can take a much closer look at every part, and see where the complexities in development might be occurring. You can then work with your development team to overcome these problems. It can also help to put your product through a level of performance analysis that you simply could not replicate in reality. That can make it much easier to see just how your product will perform. Then, you can compare it to industry benchmarks and make more informed decisions based on the results. The benefit of doing this is pretty incredible. Not only is it likely to improve your end result, but it can make productivity soar. Finding the solution with the ‘real’ version of your product can be a huge challenge. 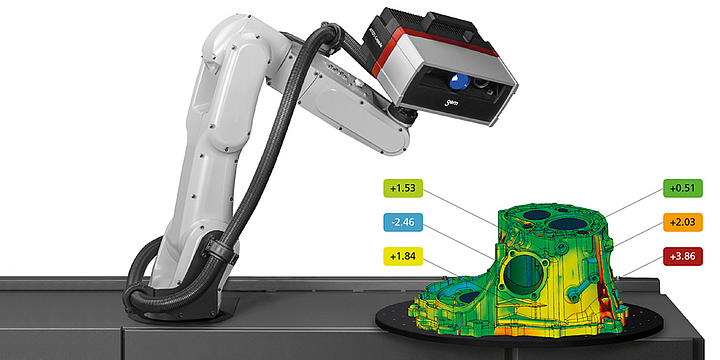 With 3D optical measurement, though, that problem can soon become a thing of the past. Sound like what you need? Then start solving more problems today using a modern system that makes product optimisation so much simpler. You have no reason to put up with products that are not as close to perfect as you can get them: not with 3D optical measuring.